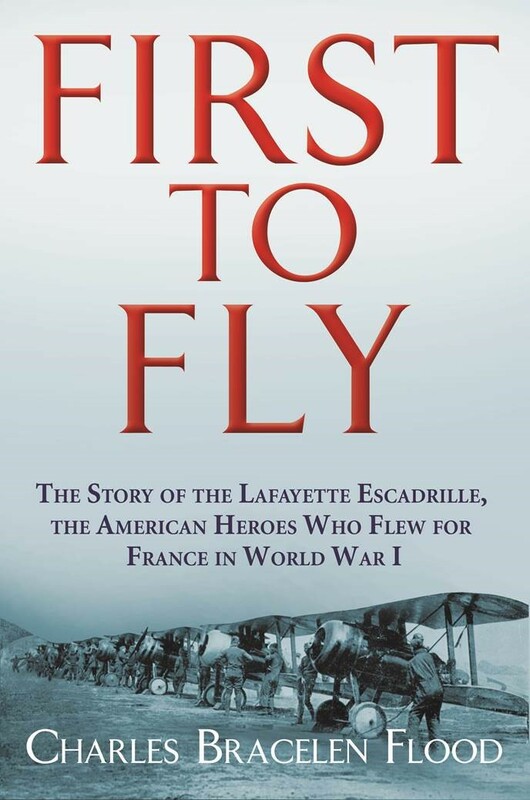 The Lafayette Memorial featured in the New York Times! Check out the March 2016 issue of Military History to see the review. 9. 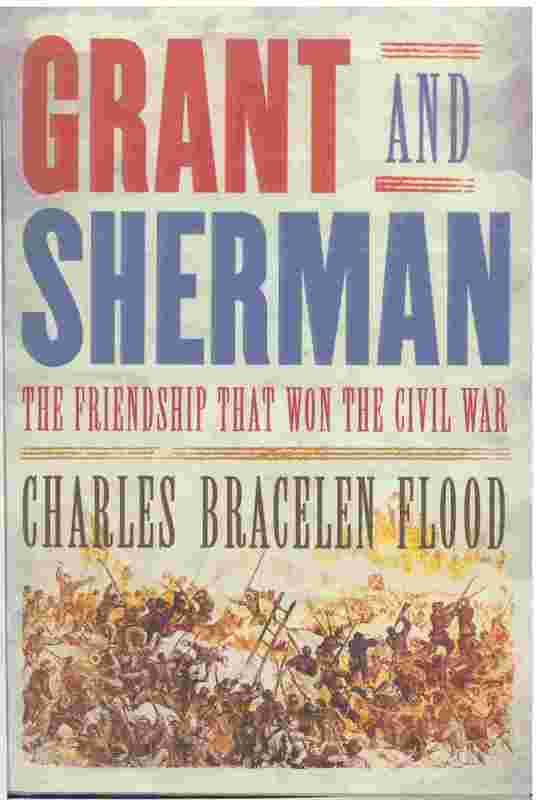 “Grant and Sherman: The Friendship That Won the Civil War”: As Charles Bracelen Flood makes perfectly clear in this engaging book, the Union would have lost the war had it not been for the professional and personal relationship between Ulysses S. Grant, the Union army’s general in chief, and William Tecumseh Sherman, his subordinate. From the very start of this book, the reader follows these men as they lead their armies to victory in both theaters of the war, east and west. Flood’s writing is fluid and compelling: He does not get caught in the trap of telling one man’s story and then the other, chapter by chapter, like a pendulum in a grandfather clock — first tick (Grant), then tock (Sherman). Instead, the author blends his account of the two generals into a perfect whole and makes us feel, page after page, that we are in the presence of these great soldiers, marching off to war or sitting by a campfire with them. There is probably no better book that explains precisely how the Union, guided by these two brilliant officers, won the Civil War. The memoirs of Ulysses S. Grant have long been considered the best ever written by a former military leader or president. Completed just four days before his death in 1885, they were an instant bestseller when Mark Twain published them and are still in print today—150 years after the Civil War began. However, while Grant’s war experiences are well known, few know the story behind the book itself. 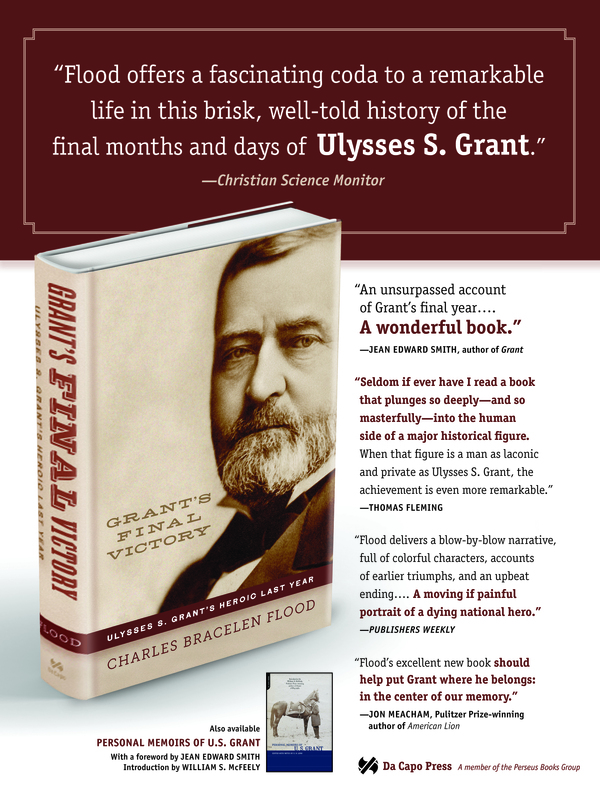 In Grant’s Final Victory: Ulysses S. Grant’s Heroic Last Year, Charles Bracelen Flood explains how Grant’s Memoirs was the last effort of a dying man to support his family. In 1884, Grant lost all his wealth after being cheated by a business partner and was then diagnosed with terminal cancer. Knowing he was running out of time, Grant began to write, hoping the proceeds from the book would be enough to save his family from destitution. News of Grant’s illness and writing quickly spread, and the entire country waited to see if Grant could win the race against time and disease to finish his memoirs. Sympathy and support poured in from the North—where Grant was revered as the general who led Northern troops to victory—but also from the South—where he was respected as the man who had treated General Lee and his surrendering troops at Appomattox Courthouse with dignity. Flood looks beyond Grant’s historical persona and paints a picture of a man as devoted to his family as he was to his country—who showed his famous determination and resolve in every aspect of his life, and whose dying actions provided for the people he loved at the same time they helped reunite a country. Charles Bracelen Flood is the author of twelve previous books, including the bestselling Lee: The Last Years and Grant and Sherman, which Salon.com named one of the “Top 12 Civil War Books Ever Written.” He lives in Kentucky.